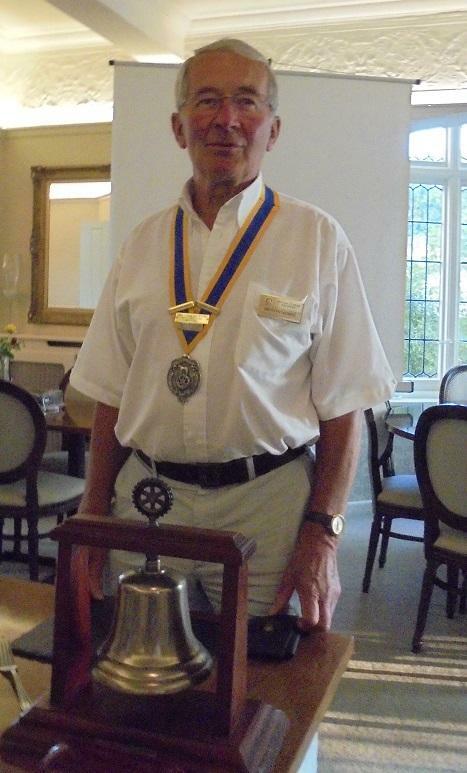 Pres David said that he had enjoyed a successful year with plenty of enjoyable activities and events, which raised funds so that the club could make substantial dovnations to the Shree Saraswotti project to rebuild a school destroyed by the 2015 earthquake in Nepal; Julia's House children's Hospice in Devizes, the Wilts Life Education Caravan and Rotary Foundation, as well as supportingseveral local charities and projects. The club has recently inducted 3 new members, plus an Associate, and has another prospective member who will be inducted at the earliest opportunity. The Club is therefore in a sound position and can look forward to a bright future. 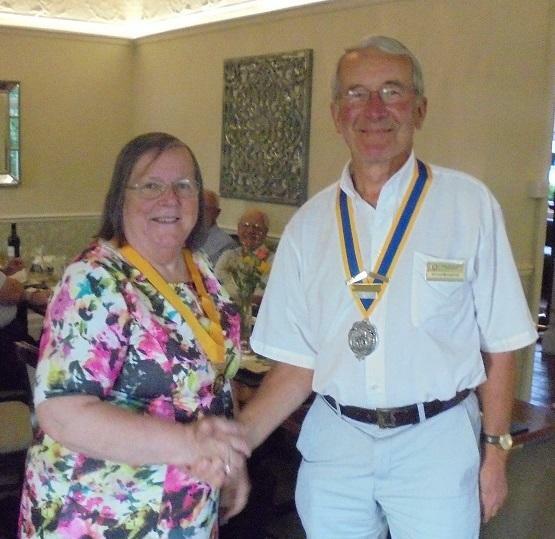 Rtn Sue Ezra was inducted as the President Elect.